After receiving over 60 applications through a public call at the end of 2017, the CDI – through its subsidiary CDI Capital – completed its shortlisting for round three of the Design Innovation Seed Fund (DISF). It has recently begun to disburse grants to the innovations that were approved by the DISF Investment Committee. The DISF is a project of the CDI with investment and management funds respectively provided by the Technology Innovation Agency (TIA) and the Western Cape Department of Economic Development and Tourism. The Fund is being managed by the CDI’s subsidiary CDI Capital, the CDI’s investment entity. CDI Capital began contracting with four approved projects this year. Three additional businesses are in the final stages of contracting as well. swiftVEE (Livestock) is South Africa’s first livestock and agricultural trading platform. swiftVEE (Livestock) is an agri-platform addressing water scarcity, food security and market efficiency for the livestock sector. swiftVEE has been recognised internationally for technology innovation and shortlisted as one of South Africa’s top 100 most innovative companies (TT100). swiftVEE is focussing on market research, data collection, analysis and clean up for upload to the platform. The second important element is the identification of functionality and outputs of various stakeholders in the livestock ecosystem and the development of the source code and big data to analyse and develop these reports and functionality. swiftVEE were privileged to attend and complete the Google Developers Launchpad Africa 2018. Legal Connection is a Cape Town based technology start-up. Legal Connection aims to build a matter management platform on which legal work can take place. They are focusing on solo and small legal firms, assisting with referrals, networking, document sharing and communication between lawyers and with clients. The company has successfully completed its lawyer profile registration page, a paperless matter management facility, a legal quotation facility, and a digital secure space for lawyers and their clients to chat and share documents and invoices. An app that makes it easy to refer patients to specialists – primary healthcare workers can get directly in touch with on-call specialists, making the referral process much quicker than by fax or phone. Vula Mobile is expected to begin project implementation this month with the DISF. 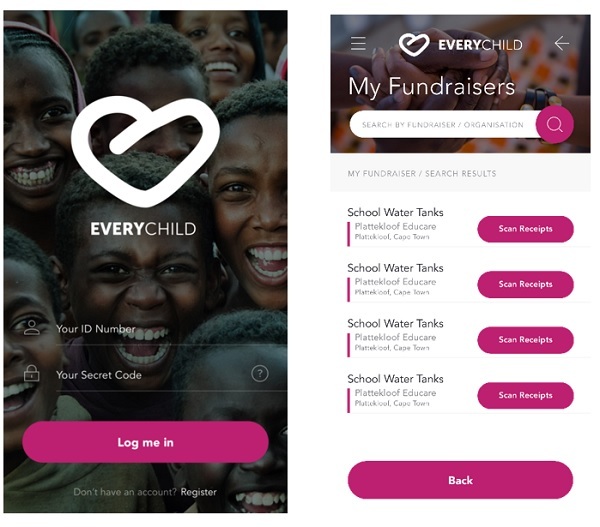 EveryChild is a mobile application which empowers South African township daycare centres to run fund-raising campaigns by leveraging their families’ need for FMCG products. EveryChild provides the customer with monthly FMCG product combinations which, when purchased together, provide a retail reward directly to the customer’s phone number and a cash contribution to the daycare centre e-wallet. The EveryChild project has made good progress to date, and the team has been able to establish a network of 12 educare centres with over 300 parents now registered for the pen-and-paper pilot project. This has been accomplished with significant on-site engagement through the field workers and development of a brand presence at their educares. Furthermore, early prototyping for technology has progressed rapidly. To date, all user flows and wireframes have been completed with early input from the 12 educare owners. The first prototype is currently being finalised.